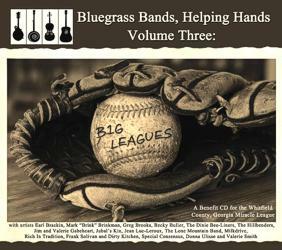 Bluegrass Bands, Helping Hands will host its Volume Three "Big Leagues" CD release party at 7 PM on Saturday September 24th 2011 in the Dalton Freight Depot located at 305 S. Depot Street, Dalton, Georgia 30720. The event will feature musical performances from Earl Brackin, The Dixie Bee-Liners, Jubal's Kin and The Lone Mountain Band. Radio DJ and internet personality Geoff Morris, from Bendigo Australia will emcee the concert which is planned to be streamed Monday September 26th at 8PM Eastern on his Wall To Wall Bluegrass show on www.WorldWideBluegrass.com. Nashville, TN -- In true artistic style, C.W. 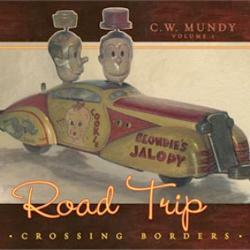 Mundy, has officially added recording artist to his resume as his debut CD, Road Trip, released this past Tuesday, August 2, on his own Moon Surf Records. On Tuesday, August 9th, a CD release party will be held at Richland Fine Art gallery in Nashville, TN, where several of his pieces will be on exhibit through the month of August, as well. Beginning at 5pm, art patrons and music enthusiasts are welcome to attend the reception, and at 6:30pm, Mundy will be joined by several musicians, including Scott and Alice Vestal, Randy Kohrs, and more, to perform a few selections from the recording. Famed country music broadcaster Ralph Emery is set to welcome fellow Country Music Hall of Famer Jean Shepard plus Jan Howard, Jeannie Seely, T.G. 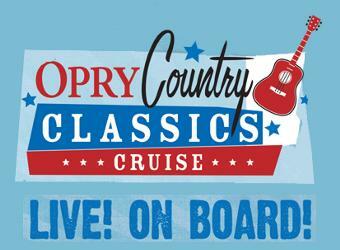 Sheppard, and Mandy Barnett aboard the Opry Country Classics Cruise and Royal Caribbean International's Voyager of the Seas, sailing Jan. 28 - Feb. 4, 2012. 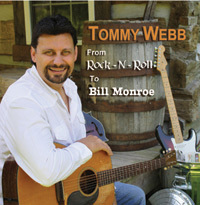 Langley, KY -- In celebration of Bill Monroe's 100th birthday, Tommy Webb is proud to announce his new single release, "From Rock-N-Roll to Bill Monroe" available to radio now via New Cuts of Bluegrass and Airplay Direct. This catchy up-tempo beat will have you tapping your toes and singing along with its catchy lyrics that describe singing rock-n-roll to playing bluegrass like the legendary Bill Monroe whose songs are as well known today as they were 50 years ago. Paris, France -- Rhonda Vincent & The Rage are traveling abroad; leaving behind their Martha White Bluegrass Express for trains, planes, and automobiles. 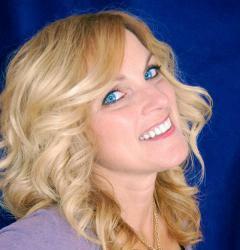 The International Bluegrass Star and All American Bluegrass Girl "Rhonda Vincent" with her band "The Rage" set a personal European record with two consecutive SOLD OUT SHOWS in Laufen Switzerland on July 27 & 28, 2011. 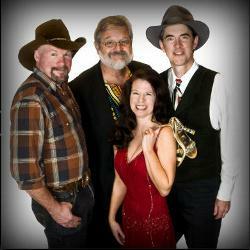 Bluegrass music group Kathy Boyd and Phoenix Rising will be joining Hudson Ridge and Young Bucs for the Star of Hope's 2011 Bluegrass Bash on August 27th. The 2010 event was such a hit that they are having a repeat fund raising event in beautiful Mingus Park in Coos Bay, Oregon for Star of Hope's 3rd Annual Bluegrass Bash! Hiltons, VA -- The New Ballard's Branch Bogtrotters took their group's name from the original Bogtrotters, the famous Galax, Virginia, area band of the 1930s, and because band leader Dennis Hall lives on Ballard's Branch. 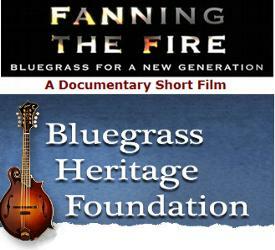 Galax is home to the world-renowned Old Time Fiddler's Convention, and the Galax area has traditionally produced some of the country's finest old time string bands. Carrying on that rich musical tradition, the New Ballard's Branch Bogtrotters features Dennis Hall on guitar, Leon Frost on mandolin, Jesse Morris on bass, Eddie Bonds on fiddle, and Josh Ellis on banjo. The guys have been playing together for over twelve years. 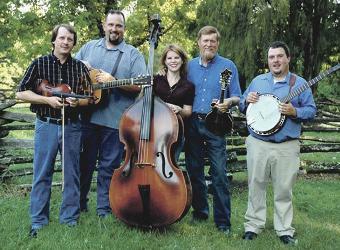 Saturday, September 3rd, 2011, at 7:30 p.m. the Carter Family Fold in Hiltons, Virginia, will present a concert by the New Ballard’s Branch Bogtrotters, an old time band. Admission to the concert is $7 for adults, $1 for children 6 to11, under age 6 free. Bill Monroe was both the father of bluegrass music and one of the genre’s most prolific writers, with a legacy that remains a touchstone for instrumentalists and vocalists alike. 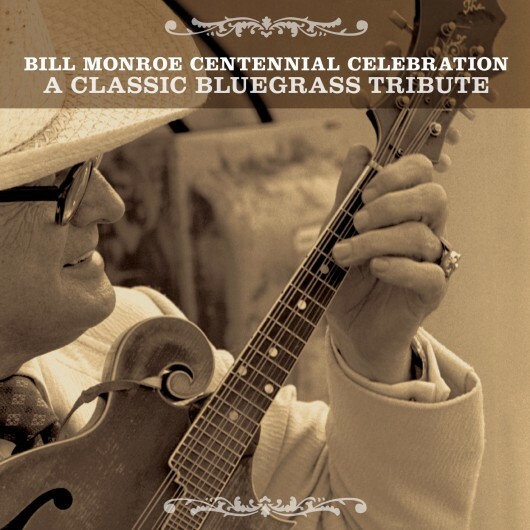 To celebrate the 100th anniversary of Monroe’s birth, Rounder presents this 2-disc 28-track set, with performances by an all-star roster of Rounder’s top bluegrass artists, including Ricky Skaggs, Tony Rice, Dailey & Vincent, and The Bluegrass Album Band. 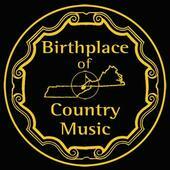 The Birthplace of Country Music Alliance brings Mountain Stage with Larry Groce back to Bristol's Paramount Center for the Arts for another sold out event on Sunday, August 21st at 7pm. 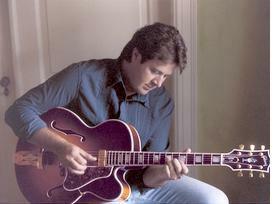 Country Music Hall of Fame inductee and 20-time Grammy winner Vince Gill will be featured in this edition of Mountain Stage in Bristol. 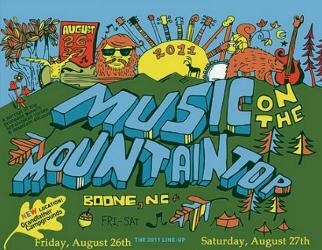 Boone, NC -- Music On the Mountaintop has confirmed the list of performers slated for the fourth annual two-day music festival outside Boone, North Carolina this August 26-27, 2011. The performer lineup at the camping festival includes: Sam Bush; Railroad Earth; Greensky Bluegrass; Acoustic Syndicate; Yo Mama's Big Fat Booty Band; Frontier Ruckus; Town Mountain; Do It To Julia; Naked Gods; the Mantras; the New Familiars; the Lazybirds; the Native Sway; Bafoodus; Simplified; Uncle Mountain and Secret B-Sides. The newest artists joining the performer lineup at the camping festival includes: 7 Walkers featuring Bill Kreutzmann and Papa Mali; Infamous Stringdusters; Possum Jenkins; Simplified; Major Sevens; Strange Lady and Grand Funktier. 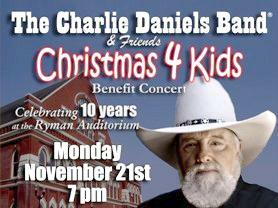 Nashville, TN -- For the 10th Anniversary of the Charlie Daniels Band & Friends Concert to benefit Christmas 4 Kids (a division of Christmas For Kids, Inc.), Grand Ole Opry member and country music legend Charlie Daniels has announced that Phil Vassar and Sawyer Brown will join him on Monday, November 21, 2011 at the Ryman Auditorium.